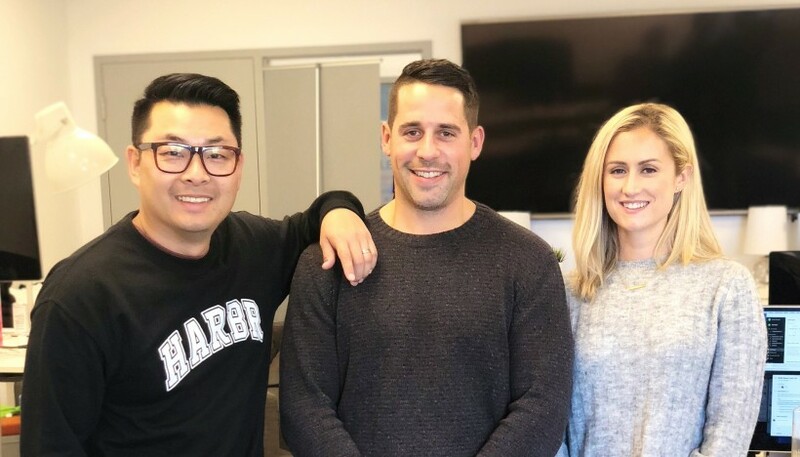 Harbr Co-Founders Dave Kim, left, Jeff Kielbratowski and Ashley Kielbratowski. Halifax-based Harbr has been recognized as one of this year’s Top 10 Construction Technology Solution Providers by CIO Applications, a Silicon Valley-based technology magazine. Harbr’s recognition is based on an evaluation of its capabilities in retail artificial intelligence for the construction industry. “Being amongst this prestigious group of construction innovators is tremendous recognition for the progress Harbr is making towards our mission of making it as simple as possible for retailers to build anywhere at scale while maintaining complete control of their brand," Harbr Co-Founder and Head of Product Ashley Kielbratowski said in a statement. “We are pleased to recognize Harbr for its ability to enable retailers to expand, innovate and grow so they can serve more customers by creating the best possible omni-channel experience,” said Joe Phillip, Managing Editor of CIO Applications. “Harbr is also the only Canadian company among the top 10, which is very impressive." Harbr has developed a Software-as-a-Service project management platform for retail construction. It defines its mission as making it as simple as possible for retailers to build anywhere at scale while maintaining complete control of their brand.